On January 5th-13th, I will go on a mission trip to serve the church of Haiti with a team from our ministry Haitian Pearl. Recently, this already devastated nation weathered Tropical Storm Isaac. Over 29 people lost their lives and many others lost their homes. I am going to serve Pastor Jay in whatever way he needs at Fisher’s of Men Ministries (the ministry I served at last year for 2½ months). I will be joining the 1,000-2,000 intercessors praying every morning at 6am. I imagine I will also again help with the kids in the school. I can’t wait to see them and my other friends and just be back in this wonderful nation!! 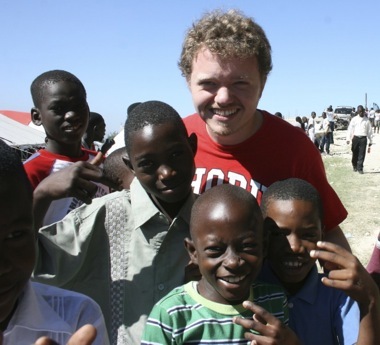 It is a joy and privilege to be a part of the amazing things God is doing in Haiti. 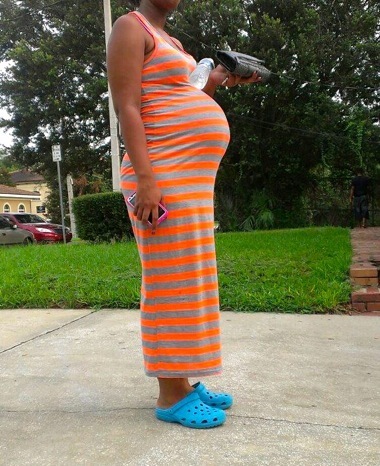 This woman legally aborted her twins in Florida. Abortion is legal in America until the day of birth. Let’s pray it would end! “Yes We Can.” “Believe in America.” Both sides ring out their rhetoric as the nation prepares to elect leaders to our government. Our next elected leaders will inherit an ailing economy and over $16 trillion dollars of national debt. Our nation is in crisis. The campaign rhetoric from each party would suggest that they have the solution to the problem. Man, in his pride, says they have a way out of this mess. However, there is no human remedy to the current crisis. The financial hole we are in is far too deep. The ship is sinking. There is only one solution—we must humbly cry out to God in prayer and in repentance. Since 1973, our nation has killed over 55 million babies. It’s time for abortion to end. It’s time to humbly ask God for His help. Perhaps Jesus will show us mercy. On September 26th, Bound4LIFEKC joined with the ministry 40 Days for Life praying daily in front of Planned Parenthood in Kansas City. We are asking God for justice and that abortion would end in our city. Recently, one of our team members, Kelly Clinger posted this picture that her friend took while standing in prayer outside of the abortion clinic Orlando Women’s Center in Florida (Full Story). This pregnant woman sadly ended the lives of her twins. I was shocked and horrified as I consider that abortion is legal in our nation up to the day a woman gives birth. Please join us in prayer over the next 40 days asking God for mercy and that our nation would turn! A primary focus of mine for almost nine years now has been praying 12am-6am in the Nightwatch for the government. Over the next 40 days, I will continue praying that God would establish righteousness and justice in our government. Rehearsing for IHOPKC’s production As in the Days of Noah. We perform Nov. 14-17. Earlier this year, I acted in IHOPKC’s musical about the life of Christ, From Patmos. We rejoiced as 29 people were saved and many believers were impacted. This year we are showing the wickedness of Noah’s generation and the persecution they experienced as they lived righteously and worked to build a huge boat. I have been casted this time as Noah’s son Japheth. We will not perform at IHOPKC this time but rather at an old theatre in Kansas City to draw in the lost and others in the church. Please keep me in your prayers as we perform November 14th-17th!